Congress is up to no good. Lawmakers passed a continuing resolution before the end of the fiscal year that will fund the government only until Dec. 9. This means Congress most likely will enact another spending package in a lame-duck session, with the strong temptation to bust the budget yet again. With a $600 billion deficit already projected for fiscal year 2017, which began Oct. 1, that’s bad news for taxpayers. The lame-duck session refers to the period every two years between the November election and Jan. 3, when a new Congress convenes. Lawmakers who know their time in the House or Senate has come to an end may be more prone to making controversial decisions without the discipline of looming elections. Intentionally waiting until after the people vote to take up controversial legislation devalues the accountability link between the people and their representatives. … Without accountability, representative government does not work. For lawmakers planning mischief, the lame-duck session presents the ideal opportunity to carry out their plot. On the budget side, watchful taxpayers should keep an eye out for at least two major risks: the spending caps set by the Budget Control Act and the end of the current suspension of the debt limit. Although Congress still must concern itself with the overall spending level for fiscal year 2017, lawmakers also are keenly aware that their discretionary budget is scheduled to revert in fiscal 2018 to the lower levels set by the Budget Control Act of 2011. If Congress adopts the Obama-Boehner level of $1.070 trillion in spending, lawmakers will set themselves up to break the budget caps again in fiscal 2018. This is because the discretionary budget for fiscal 2018 is capped in law at $1.064 trillion ($549 billion for defense, not including war spending, and $515 for nondefense spending). The total is $6 billion below the fiscal 2017 level of $1.070 trillion. 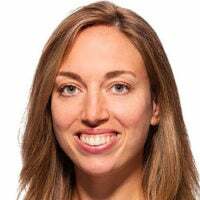 Lawmakers have been unable to swallow moderate automatic increases in the Budget Control Act levels without enacting additional increases in each and every year the law has been in effect. So it is highly unlikely lawmakers will accept a real cut in the discretionary budget without putting up a good fight. With congressional approval ratings in the basement, the lame-duck session poses a great temptation to pass an unpopular spending increase, further fueling the nation’s deficit and debt. This session puts at grave risk the remainder of the Budget Control Act’s governing levels for discretionary spending through fiscal 2021. Not only that, but the expiration of Congress’ suspension of the debt limit looms in mid-March. 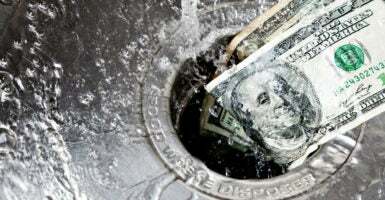 The debt limit, when active, puts a brake on unlimited debt by forcing lawmakers to consider the allowable level of debt created by legislation. Debt limit votes are also highly unpopular. To reduce the potential for taxpayers’ wrath, lawmakers have resorted to suspensions instead of increases in the amount of allowable debt. Some lawmakers hope to get rid of the debt limit altogether. It’s highly inconvenient to be confronted with the consequences of unsustainable spending decisions when one plans on spending even more. 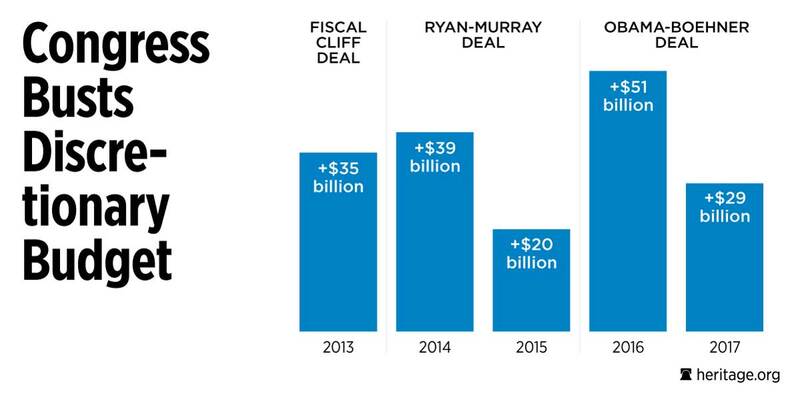 Lawmakers should stay away from the debt limit during a lame-duck session. 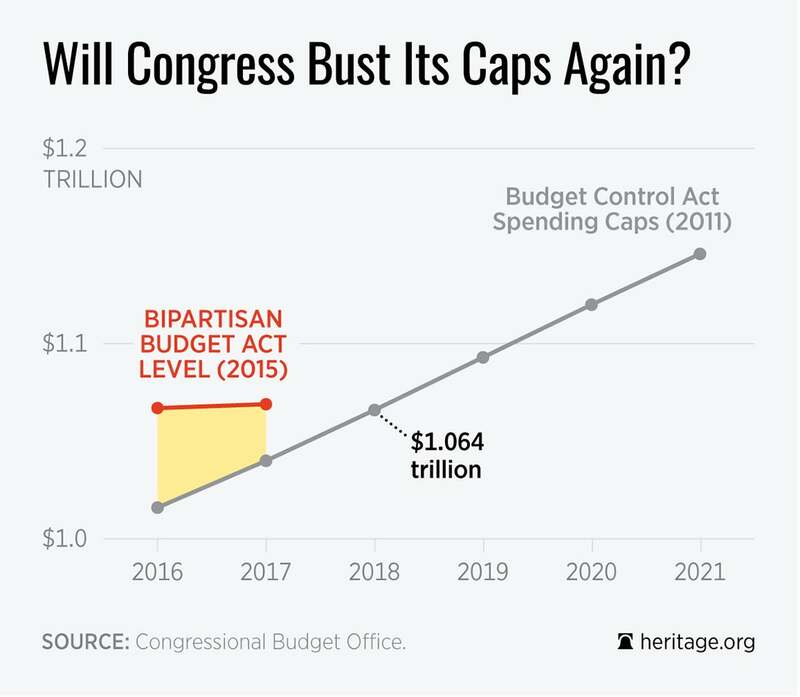 Instead of worsening the already unsustainable fiscal scenario the next president will need to address, Congress should reaffirm its commitment to fiscal discipline by pursuing spending bills below the Budget Control Act level for 2017. Congress also should keep up this positive momentum by upholding the budget caps in 2018 and beyond. Through a combination of program cuts and policy riders on the budget bill, lawmakers can reduce nondefense discretionary spending and refocus the federal government on constitutional national priorities. Blueprint for Balance, Heritage’s budget proposals for Congress, contains 110 important policy reforms that would grow the economy, increase freedom and opportunity, and limit the size and scope of government. If it can’t muster the will, Congress should at least consider extending the continuing resolution for the remainder of fiscal 2017, including an across-the-board reduction in all discretionary spending on nondefense programs.